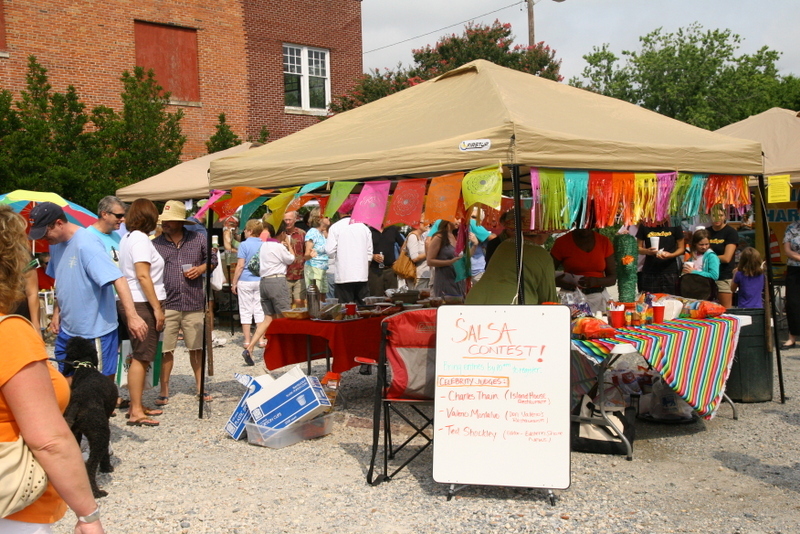 To spice things up and drum up a little community support, we hosted a salsa contest at the local farmers market this week. 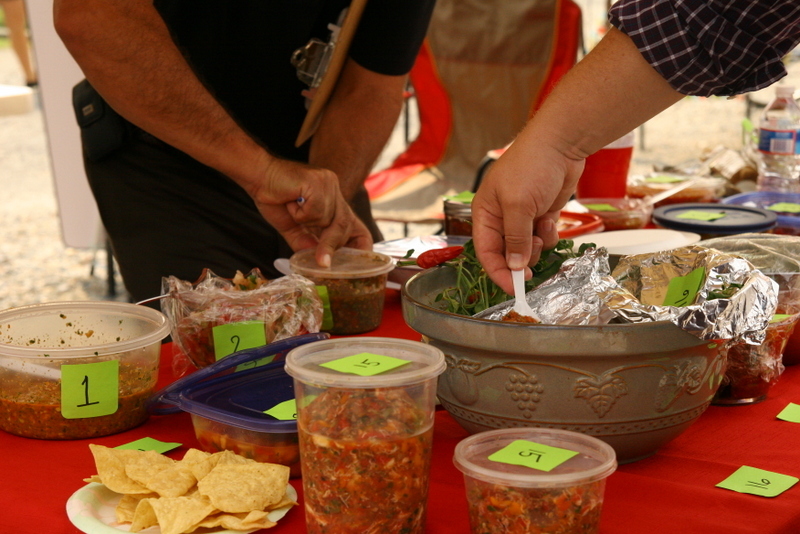 I mean, it is the height of delicious summery produce and there were some innovative salsas among the competition. We gave points on use of seasonal local ingredients and brownie points (technically no credit except our praise) to folks who used produce from market vendors. It was a real riot to see how many people got into it — we had 21 people enter (this was our first community contest) and our judges were local celebrities: head chef of one of the classy seafood restaurants, the owner of an authentic mexican food hot spot and the editor of the local paper. The mood was completed by salsa music blaring the whole morning. Check out the full scoop on the Onancock Market website. Tags: farmers market. Bookmark the permalink. Fantastico…Ole por Salsa deliciosa !! !